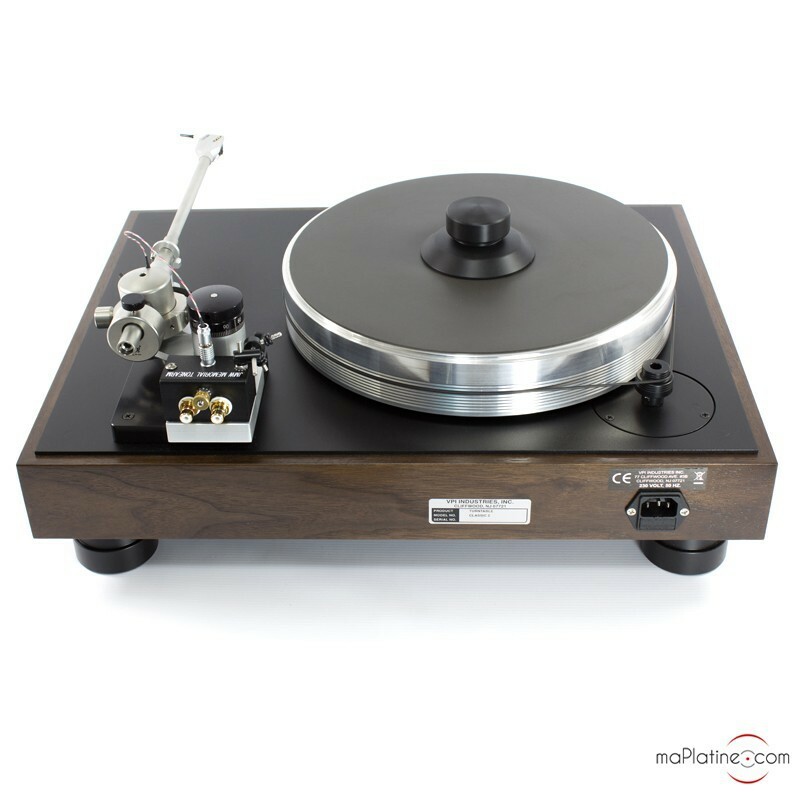 This VPI CLASSIC is a direct step-up from the One. 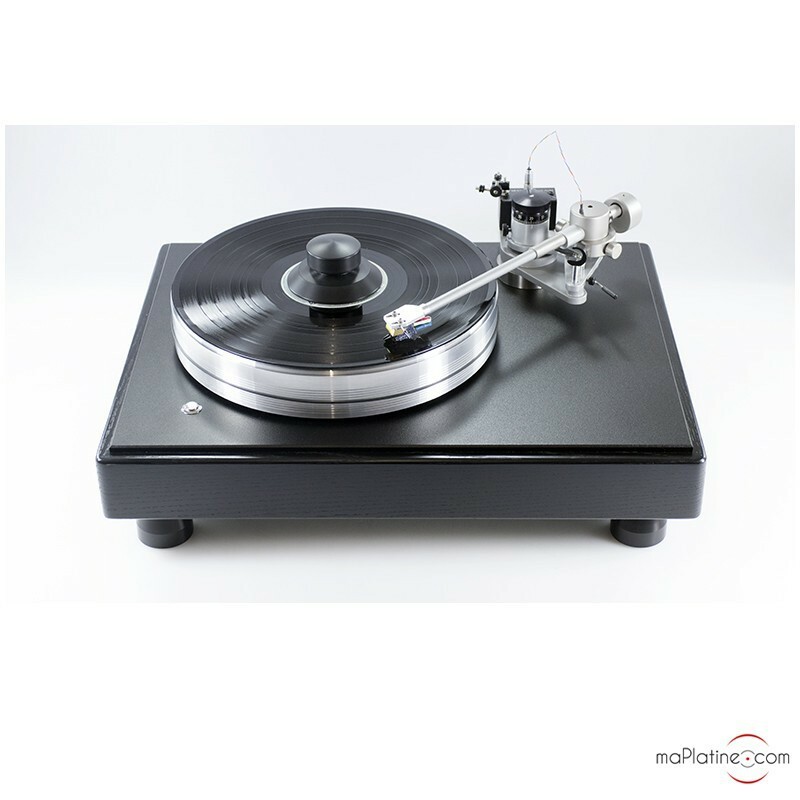 This 'Classic' series includes three models that have a number of elements in common that depart from the Scout or HR-X range. The huge motor is built into the plinth instead of being separate like for the Scoutmaster. 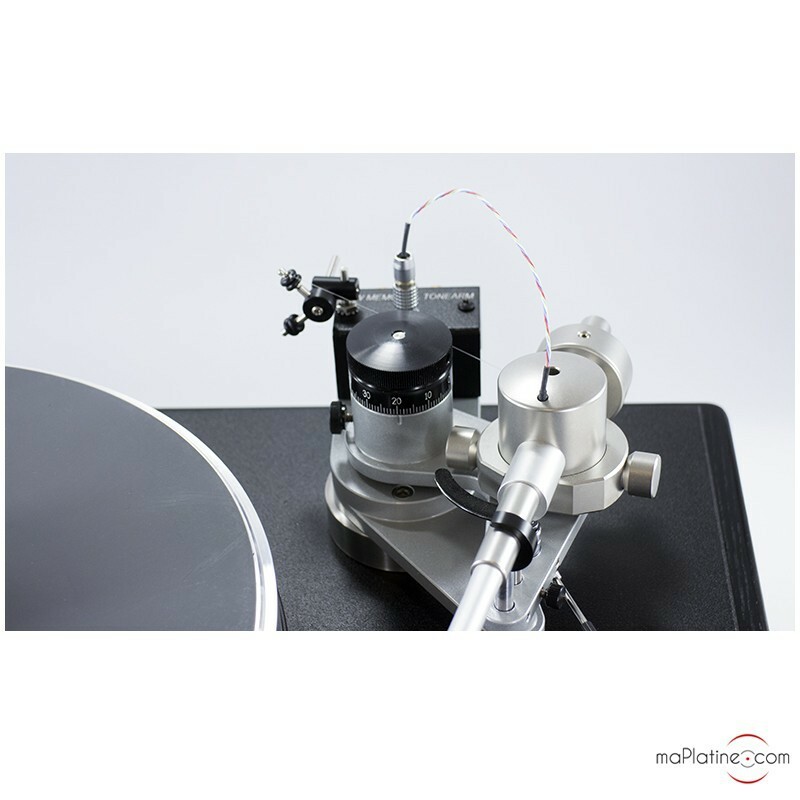 It has sufficient isolation and damping to ward off vibration from the tonearm and platter. 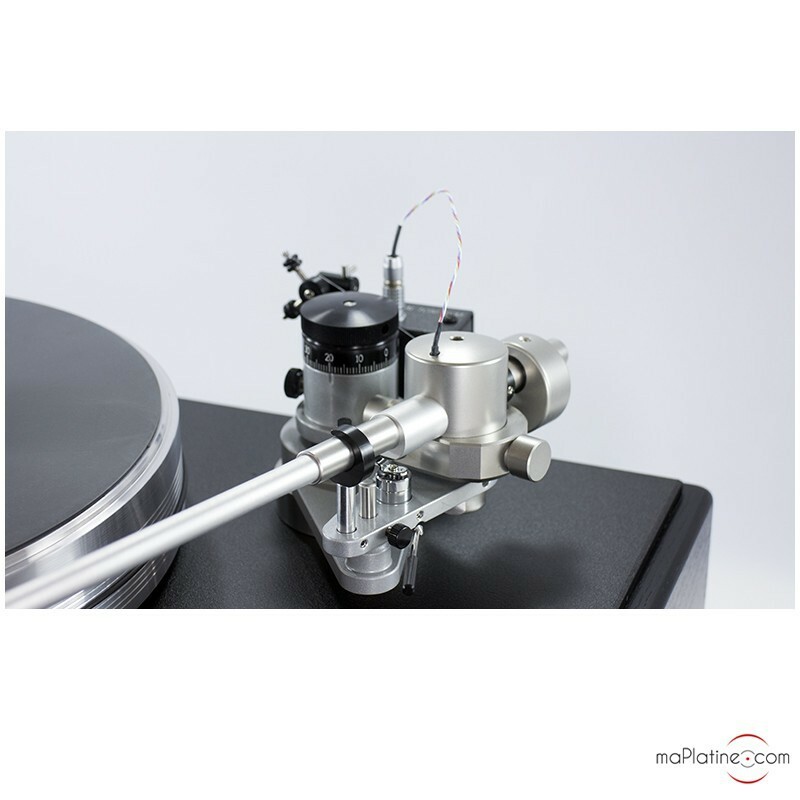 The tonearm is the 10 inch 'Classic special edition' unipivot tonearm to which a very accurate height adjustment (VTA) with micrometric screw has been added. 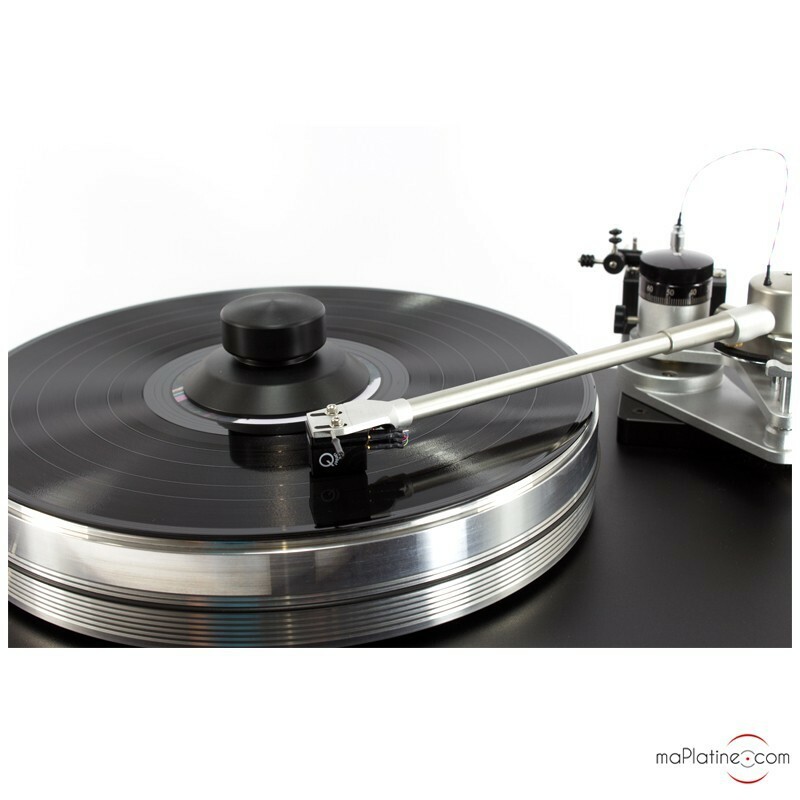 It can adjust the tracking angle of the stylus in the groove depending on the recording in only a few seconds. 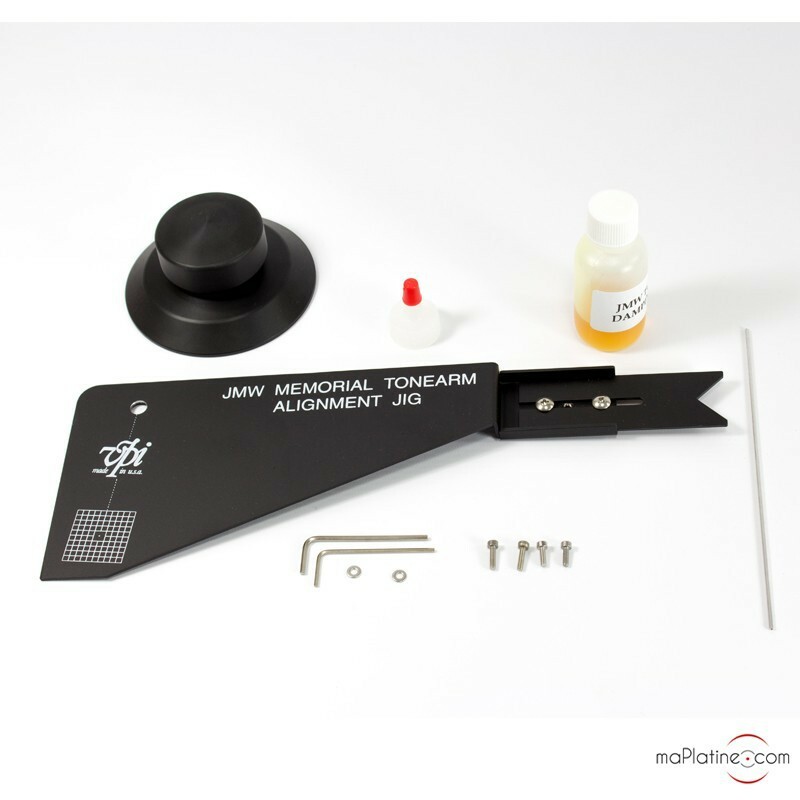 It is a simplified variant of the JMW 10.5i. 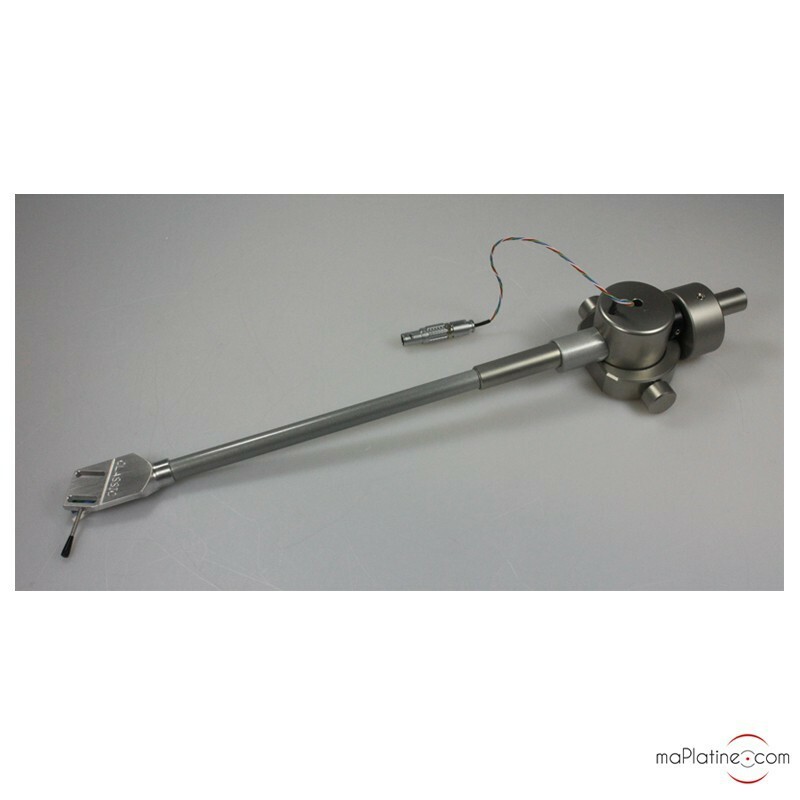 It has a very high purity silver-plated copper wire. The solid aluminium platter weighs 8.2 kg and is mounted to an impressive inverted bearing, VPI's flagship design. 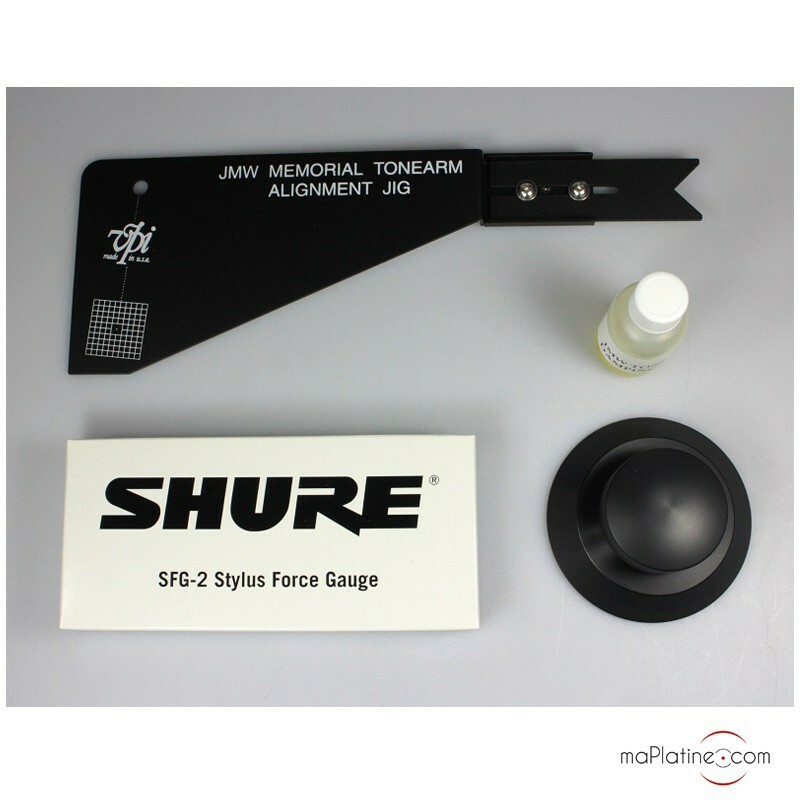 The base is made of solid 15 kg MDF material, which has been hollowed out, above which is a steel plate secured with long screws through the plinth and isolated with a silicone seal. 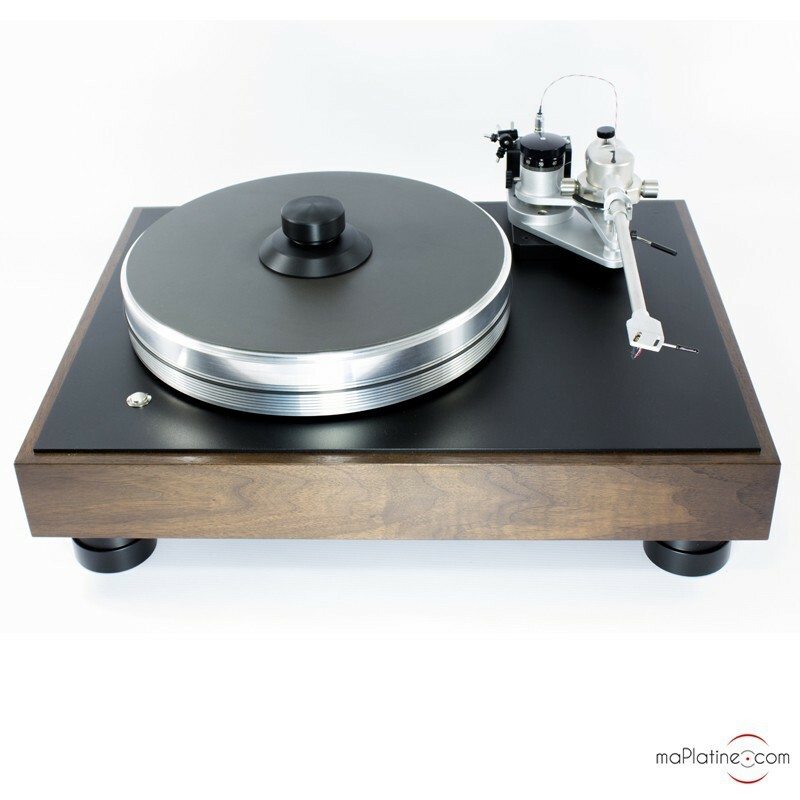 The vinyl turntable weighs 30 kg and is fully inert to vibrations. 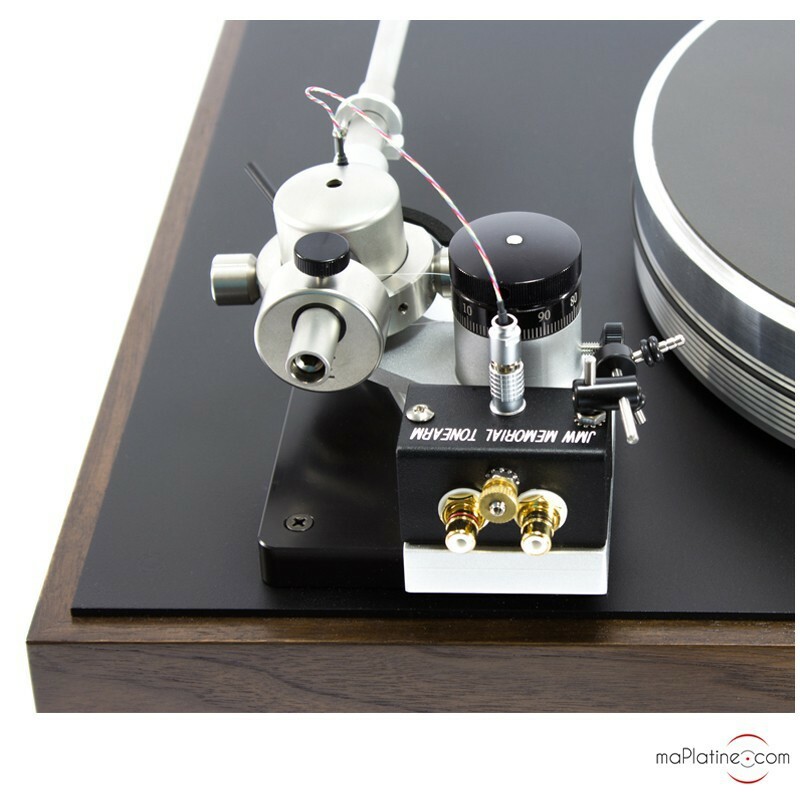 The output format is RCA, with XLR available upon request. 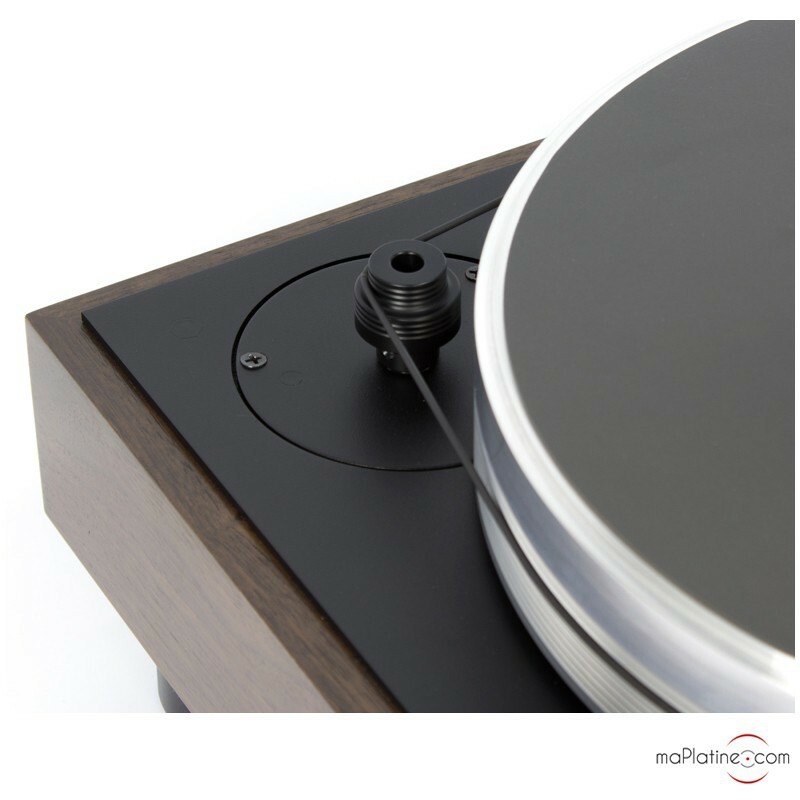 The first thing you notice as you lift the vinyl turntable out of its box is the build quality! Its weight and density are impressive. 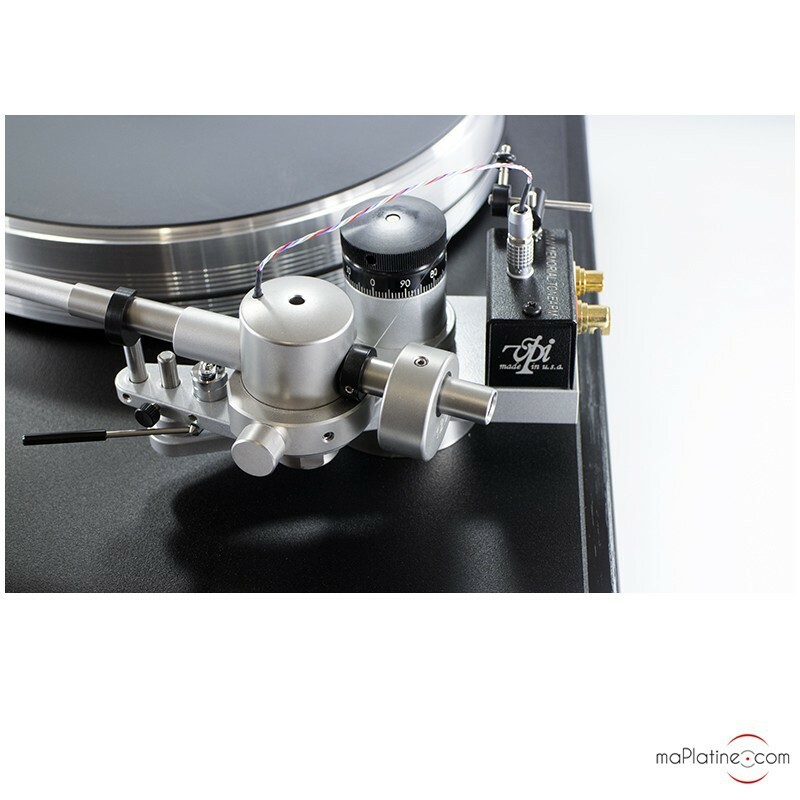 After placing the plinth on a level and hard surface, with platter and belt in place, let's take a closer look at the tonearm… It has an impressive weight and stiffness. 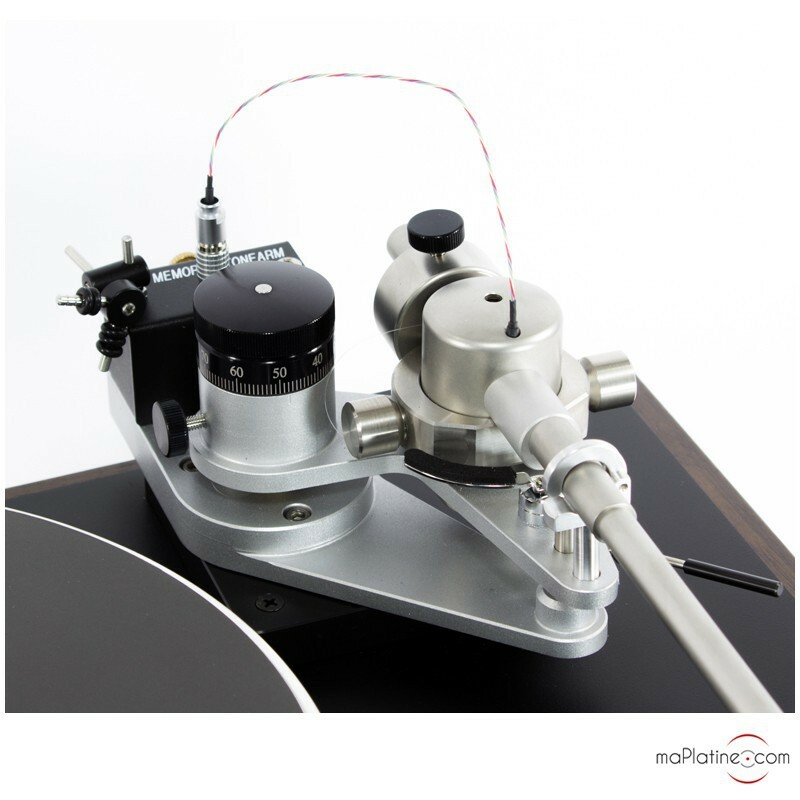 The cartridge is quite easy to mount and set up. 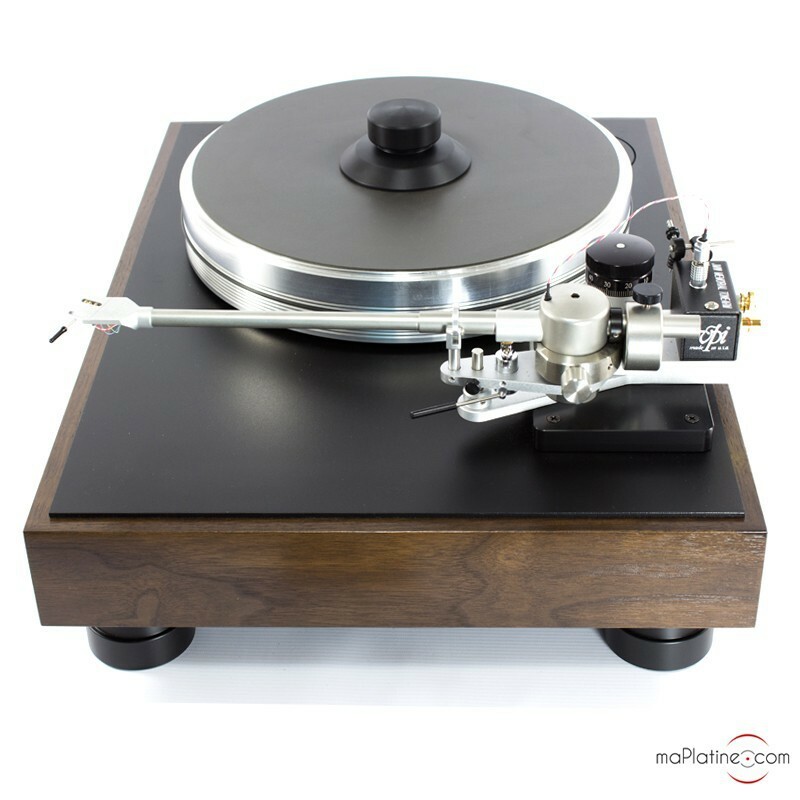 The lateral adjustment is not all that easy, but with a bit of patience…From the opening bars we immediately grasp why the world press was so interested in this VPI! The sense of rhythm is fabulous, the dynamics are amazing. The perspective brings the listener very close to the instruments and musicians. The playing stands out, very authentic and emotional. On French singer Barbara's 'l'Aigle Noir', the voice has amazing presence and subtlety, the drums are more physical than usual and the instruments are extremely detailed. On Harry Belafonte's 'Live in Carnegie hall' (1959), the sound stage is fully three-dimensional and reveals the atmosphere, reverberation and beautiful acoustics of this legendary Manhattan venue. The brass sections have incredible timbre and the silences are pure, with no surface noise interfering. So, in a word, this Classic Two definitely beats the One on almost all accounts. 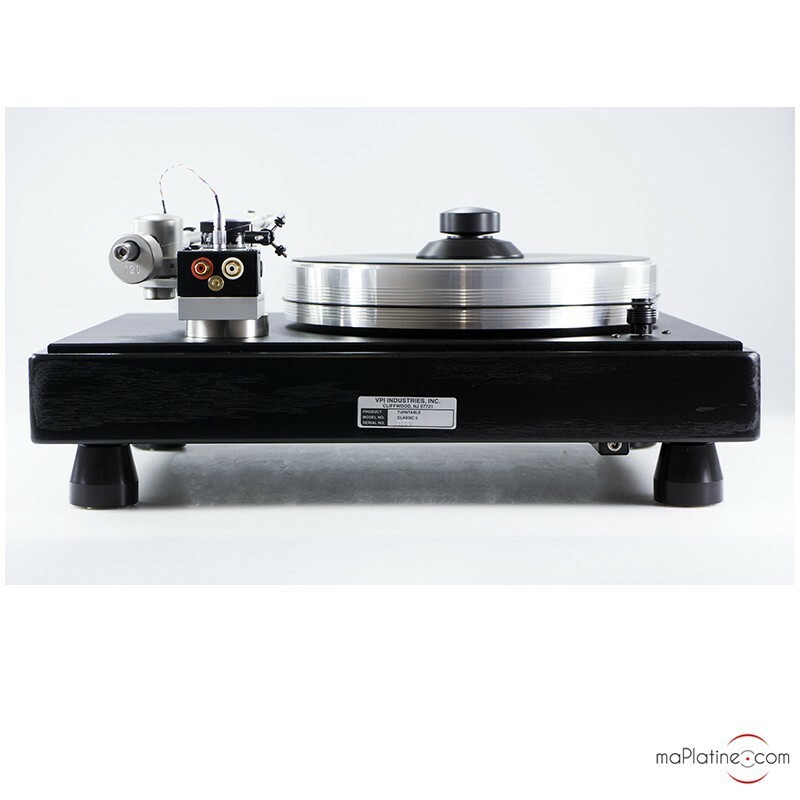 We consider it one of the best vinyl turntables in the segment… A true benchmark! 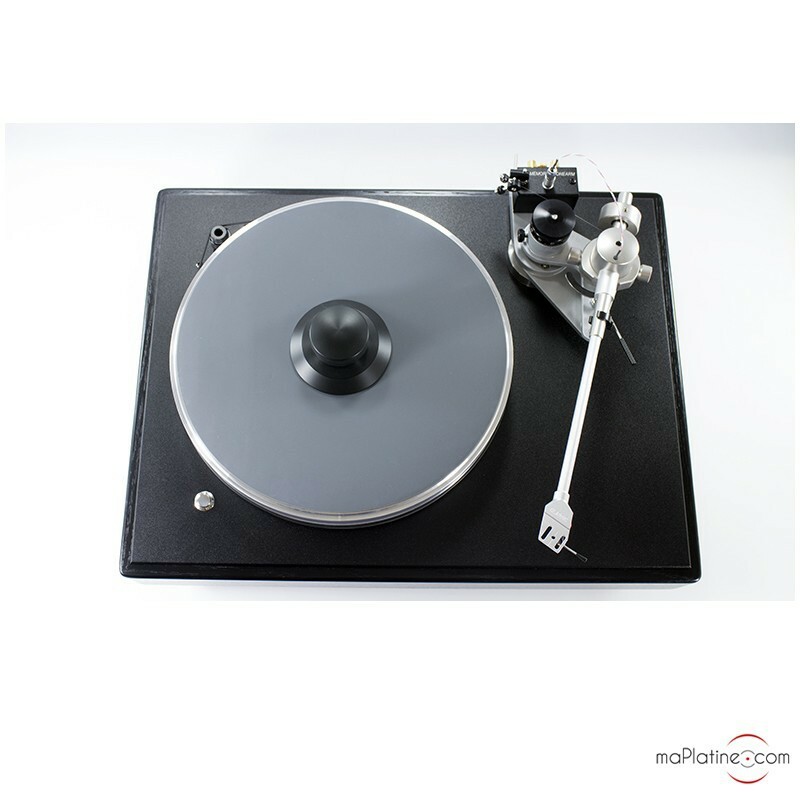 Avec cette platine,vous etes directement propulsé dans la cour des grands!!!... (sans avoir a rougir devant les"toutes grandes" !!) ..
J'me sens comme un gamin (44 ans) ,qui a le sentiment de posseder ,le meilleur et plus beaux jouet du monde!!!... :-) !!!!! 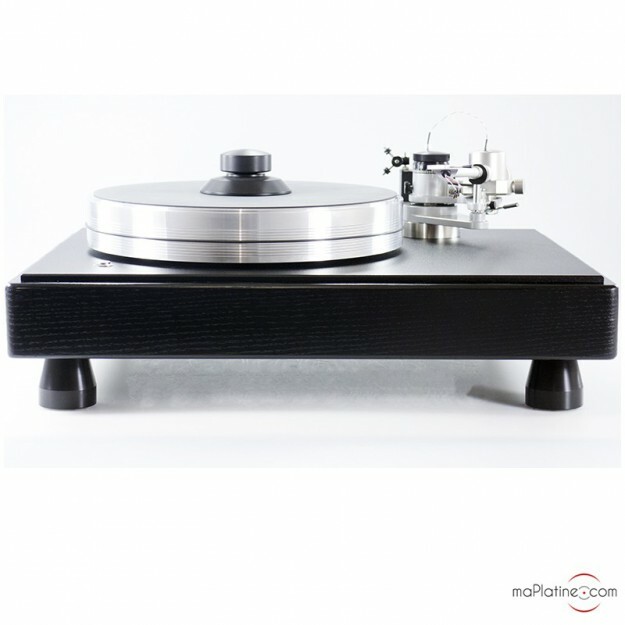 "Une des meilleures platines du segment; une vraie référence". Diable ! 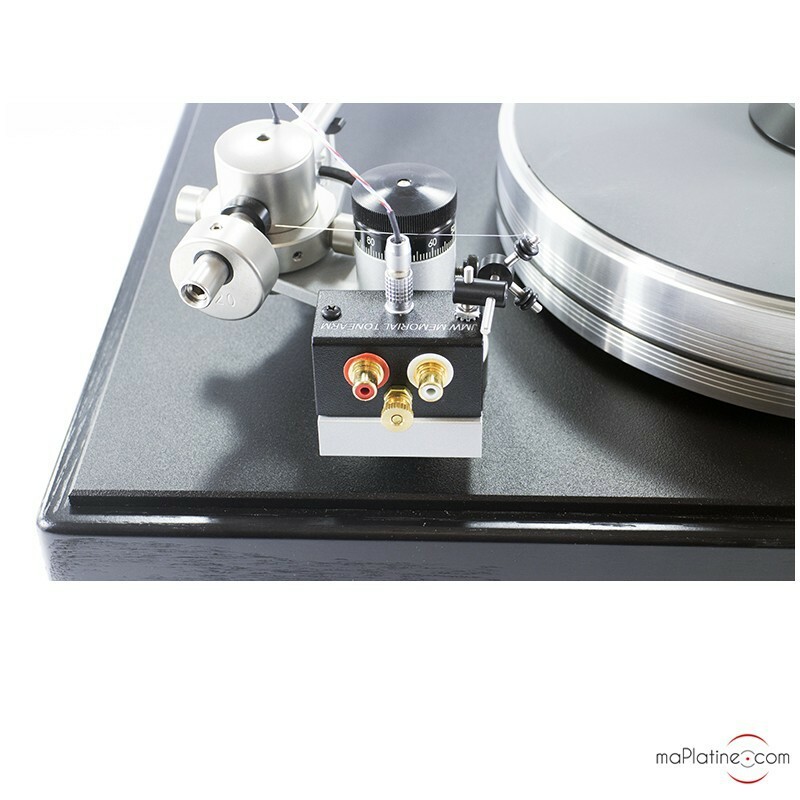 L'avis de maplatine.com place la barre très haut. Est-ce mérité ? 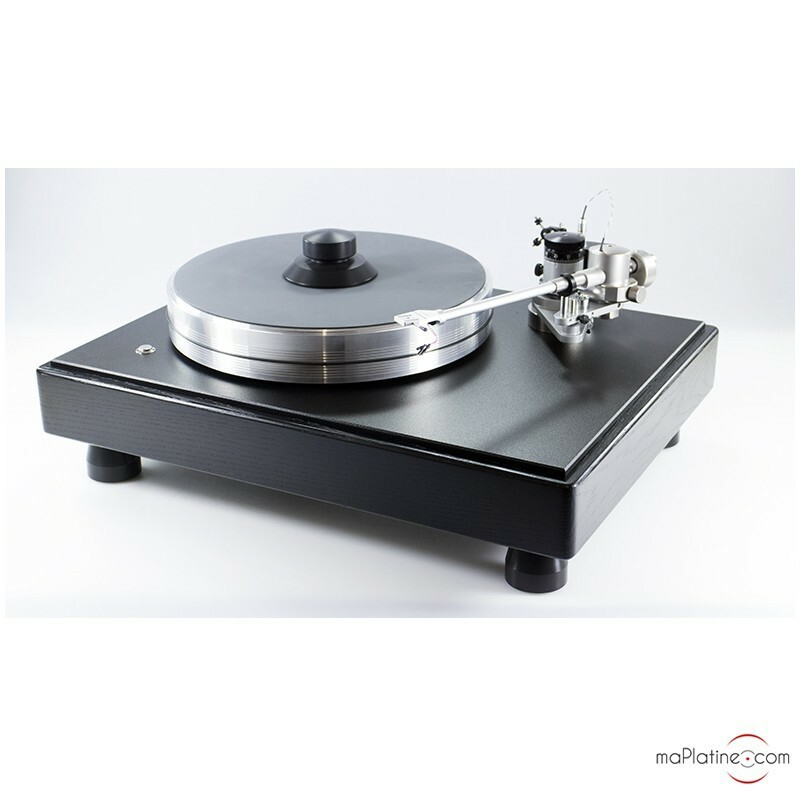 Choisir une nouvelle platine n'est vraiment pas chose aisée, mais alors pas du tout, pour un simple mélomane. On doit donc bien se fier à des avis de spécialistes du son analogique. 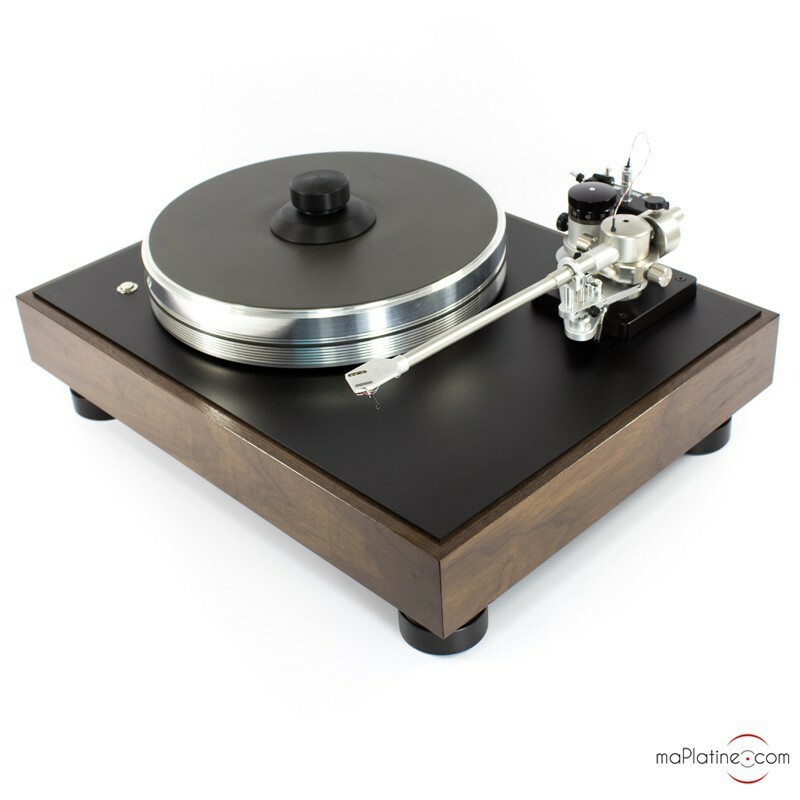 Mais désormais, c'est fait : depuis, quelques jours, la VPI Classic II a rejoint ma chaine HiFI. Résultat ? Cette Classic II dépasse mes espérances. 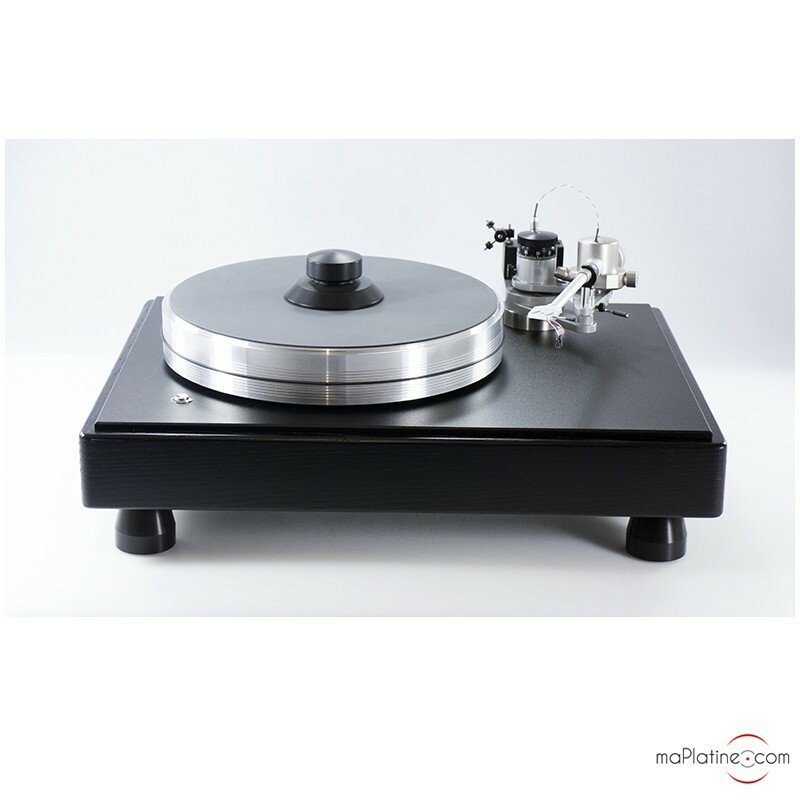 C'est tout d'abord une machine imposante, très très solidement construite, avec son énorme plateau bien lourd et son fantastique bras unipivot JMW Classic 10,5 VTA. Elle en impose, vraiment. Et c'est déjà un très bel objet en soi. Quant au son (le plus important !) qu'elle extrait des gravures en étant équipée d'une bonne cellule ? Il est tout simplement net, propre, clair et réaliste. Tout le spectre est là. Les basses sont profondes, la dynamique très réelle. Elle extrait des informations de bas niveau et l'ambiance sonore, notamment pour des concerts enregistrés, est très audible. Elle donne bien l'impression d'être à proximité des musiciens. 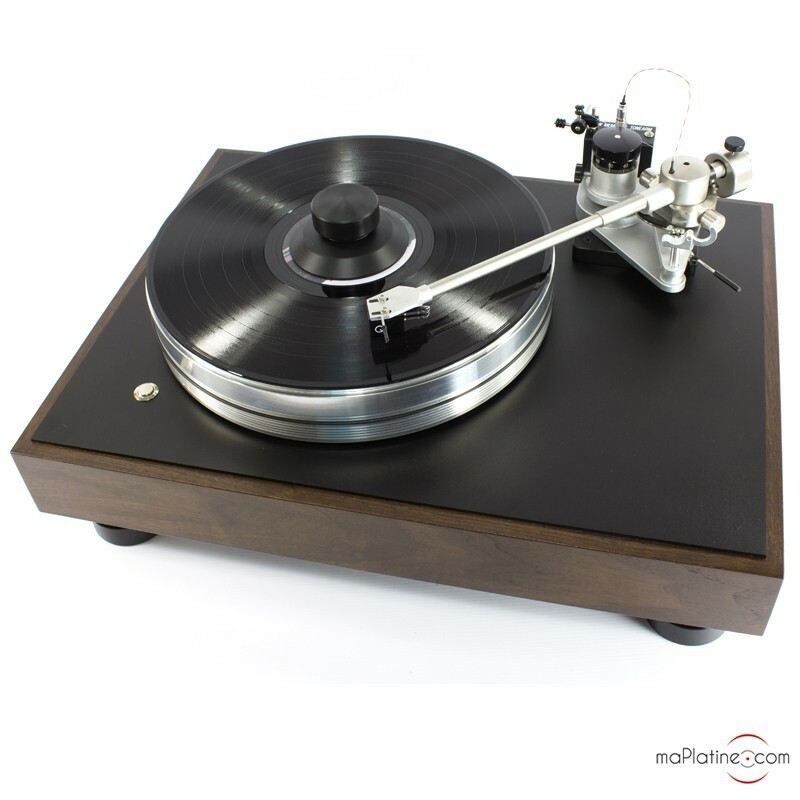 La VPI Classic II ne fait pas que retranscrire de la musique. Elle permet de la vivre, pleinement, en totalité.